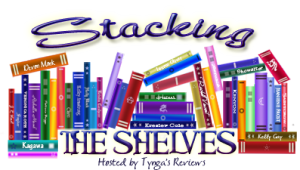 See my new #bookhaul in my Stacking the Shelves post (15 April)! I’ve been wanting to read this book for ages so I finally treated myself to the illustrated edition last weekend and I’m looking forward to finally reading this. I’ve heard it’s a real tearjerker so I’ll wait for the right time to sit and read this. The bestselling novel about love, loss and hope from the twice Carnegie Medal-winning Patrick Ness, soon to be a major motion picture. Conor has the same dream every night, ever since his mother first fell ill, ever since she started the treatments that don’t quite seem to be working. But tonight is different. Tonight, when he wakes, there’s a visitor at his window. It’s ancient, elemental, a force of nature. And it wants the most dangerous thing of all from Conor. It wants the truth. Patrick Ness takes the final idea of the late, award-winning writer Siobhan Dowd and weaves an extraordinary and heartbreaking tale of mischief, healing and above all, the courage it takes to survive. I already mentioned this in my WWW Wednesday post but I hadn’t written about it in a haul yet. I’ve seen so many tweets about this book and everyone seems to be raving about how good it is so I couldn’t resist buying a copy. It sounds like such a powerful book. I hope to read this over the weekend. I’ve always loved Jon McGregor’s writing so had this on pre-order and was very happy to see it on my kindle the other day. I really like to sit and savour his writing so will save this for when I have time to read it over a few hours. I heard about this on YouTube and thought it sounded like an interesting read (not to mention it having such a gorgeous cover). I got sent a 50% off code for any book on kobo this week so decided to get this one. I’m really looking forward to reading it. I’ve been wanting to read this since it was published last year, and now I’ve listened to the audio of her previous memoir I decided to finally get this too. I think it will be a sad read but also nice to read more of her life story. With these excerpts from her handwritten notebooks, The Princess Diarist is Fisher’s intimate and revealing recollection of what happened on one of the most famous film sets of all time—and what developed behind the scenes. And today, as she reprises her most iconic role for the latest Star Wars trilogy, Fisher also ponders the joys and insanity of celebrity, and the absurdity of a life spawned by Hollywood royalty, only to be surpassed by her own outer-space royalty. Laugh-out-loud hilarious and endlessly quotable, The Princess Diaristbrims with the candour and introspection of a diary while offering shrewd insight into the type of stardom that few will ever experience. I’ve heard so much hype around this book and have been wanting to read it for ages. I spotted it at a bargain price this week so snapped it up. Hopefully it won’t be too long before I get to this but I do think I’ll need to be in the right frame of mind to read it. I’ve been wanting to read this book ever since I first heard about it. I decided to use my latest Audible credit to get the audio book this week and I’m really looking forward to starting this as soon as I finish my current listen. I was thrilled to be contacted by the publicist for this book this week asking if I’d like to review it. I immediately said yes and am so looking forward to reading it. It was lovely to received a thank you card signed by Fiona Barton in with the book too. I was excited to receive this book this week too, it sounds like such a good read and I really want to read it as soon as I can. When Rosie Rankin’s best friend has an affair with her husband, the consequences reverberate down through the lives of two families. Her daughter Daisy’s fragile hold on reality begins to unravel when a letter arrives that opens up all the old wounds. Rosie’s teenage son Max blames himself for everything which happened that long hot summer. And her brittle ex-husband Nick has his own version of events. I was sent a copy of this to read ahead of doing a Q&A with the author for the blog tour at the end of the month. I’ve already started reading it and it’s such a lovely, enjoyable novel. Minnie and her sister Clara, spinsters both, live in a dilapidated country house in the middle of a housing estate, built when their father sold off the family’s land. Now in their seventies, their days follow a well-established routine: long gone are the garden parties, the tennis lessons and their suffocatingly strict mother. Gone, too, is any mention of what happened when Minnie was sixteen, and the secret the family buried in the grounds of their estate. Directly opposite them lives Max, an 11-year-old whose life with his mum has changed beyond recognition since her new boyfriend arrived. Cast aside, he takes solace in Minnie’s careful routine, observed through his bedroom window. Over the course of the summer, both begin to tell their stories: Max through a Dictaphone, Minnie through a diary. As their tales intertwine, ghosts are put to rest and challenges faced, in a story that is as dark as it is uplifting. I requested this on NetGalley and was thrilled to be approved. I’m fascinated by Min Kym’s story, I think it will be an emotional read but a really interesting one too. At 7 years old Min Kym was a prodigy, the youngest ever pupil at the Purcell School of Music. At 11 she won her first international prize. She worked with many violins, waiting for the day she would play ‘the one’. At 21 she found it: a rare 1696 Stradivarius, perfectly suited to her build and temperament. Her career soared. She recorded the Brahms concerto and a world tour was planned. This is Min’s extraordinary story – of a young woman staring into the void, wondering who she was, who she had been. It is a story of isolation and dependence, of love, loss and betrayal, and the intense, almost human bond that a musician has with their instrument. Above all it’s a story of hope through a journey back to music. I spotted this on NetGalley this week and requested it immediately. I’ve loved Lisa Jewell’s novels ever since I read After the Party when it first came out a few years ago. Her novels have got darker in recent years but I love them just as much. I can’t wait to read this one! I loved Collette McBeth’s previous two novels but had no idea she was due to publish another one. I was excited to spot this on NetGalley and even more excited to be approved to read it. I want to read it soon but am going to try and wait until a little nearer publication.